Considering Becoming an EMT? Let Project Heartbeat Help! Home/Considering Becoming an EMT? Let Project Heartbeat Help! 8 Great Reasons to Become an EMT! 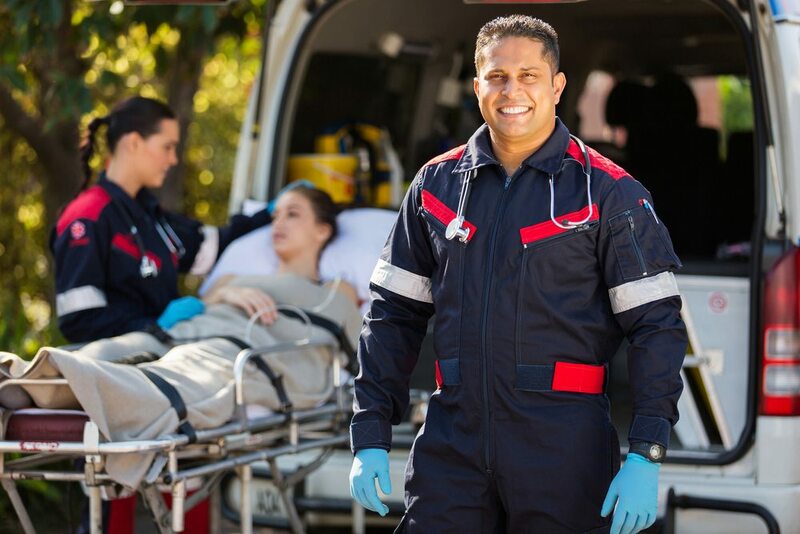 Emergency Medical Technicians (EMT’s) are typically frontline first responders trained to render first-aid and emergency medical care to critically ill or injured patients. EMTs make up the bulk of most ambulance companies and EMS agencies, including fire departments. Additionally, EMTs are sought after by most emergency departments as well in the coveted role of ED Technician. Dynamic Environment – If helping people and solving complex problems interests you, look no further. The life of an EMT, regardless of where you use the certification, is always interesting. HOT Jobs – There are currently over 12,000 EMT jobs posted on INDEED! You’ll never be out of work, and the NREMT certification is portable as well. Career Growth – I know dozens of EMTs that have been EMT-Bs for 20+ years in both the Bay Area & Sacramento. Having said that, with a bit more training, the higher paying Paramedic cert is also highly sought after. The knowledge gained in an EMT course is a great platform to kickstart new careers in a multitude of directions: fire, ski patrol, search and rescue or ED nursing and medicine. Myriad Opportunities – Did I mention there are over 12,000 jobs requiring EMT on INDEED right now? Want to fight forest fires—EMT, want to work in an emergency department—EMT, want to do technical rope rescue—EMT, want to ski 120 days each winter—EMT. This is a highly portable entry level certification for an amazing list of careers. Civic Duty, Good Samaritans – Most of us wonder how we can make a difference in our world, how we can have an impact on the people around us. EMTs each and every day make a real difference in the lives of their patients. You can sleep easy each night knowing you’re contributing to the lives of the people in your community. Resume Builder – This certification takes commitment, and prospective employers see that commitment when looking over your resume. Having an active EMT certification may be the difference between getting that dream job or not. Chance favors the prepared mind…or maybe resume? Use it for Life – I have never regretted becoming an EMT at 18 (sadly quite a few years ago). I have used EMT training throughout my life: in whitewater rescues, car crashes and near drownings. Even if you don’t have a long career as an EMT, the skills learned will be invaluable, both professionally as well as in your own adventures. You get to wear an awesome uniform and drive an AMBULANCE!! OK, so not all EMTs end up on ambulances, but seriously, who doesn’t have a least some fantasy of driving an ambulance while wearing a killer uniform? Is this compelling, do you want to join the ranks of the Emergency Medical System? Sign up today for our EMT Academy with Project Heartbeat. Get started on the road to become an EMT today! By Project Heartbeat|2018-05-30T11:11:29-07:00June 13th, 2018|Career Programs, Education|Comments Off on Considering Becoming an EMT? Let Project Heartbeat Help!